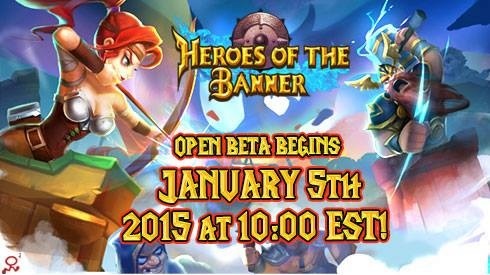 Global games publisher R2Games has announced that its newest free-to-play browser title, Heroes Of The Banner, will be entering Open Beta on January 5th 2015 10:00 AM EST. This represents R2Games’ first steps into the popular Tower Defense genre. Heroes Of The Banner is a whimsically colorful Tower Defense game with RPG elements, with a lighthearted story. The game features real-time combat with activatable abilities based on deployed towers and heroes. Players have the ability to recruit and construct multiple tower types to set up the best possible defense against oncoming waves of orcs and demons. Hope this game has all the Hackerbots that all the other online games have else I cant play it.